If you are following the Lord there are times you need his input. The most important place to be is in his presence. So many times when I go through changes and trials I just need to know that he is there. He is always with us but I can deal with anything when I feel he is with me. Life can get busy and complicated and at times I know he is saying, be still. A couple of years ago I had to have a planned surgery. It was just supposed to be a couple of days but I had a bad reaction to the anesthesia and I got really sick. It was touch and go and I ended up in the hospital for two weeks. When I got home I was very week so I spent a lot of time in bed resting. It also was a very dry time because I was too weak to pray and read my Bible. I was just sleeping so much. I don’t really remember a lot of it. What I do remember is the enemy attacking my mind and trying to convince me that I was dying and even God couldn’t help me. I was on my own. Well that is not true but at the time he had the upper hand and it was tough. I was in and out of it and really just wanted to sleep and not feel anything. When I started feeling better I managed to start praying and reading a little of my Bible . I had missed that sooo much. The words brought so much peace to my soul. But I really just liked to lay there and feel him reminding me of his love for me. Verses came to mind. Telling me how much he loves me and how much I can do for him. When I got back home after what seemed like a month. I still slept in till 10 or 11 am every day but always spent the last hour or two in prayer over everything that mattered to me. I would just lay there listening for a while and resting, but I really started to like these times with God. When we are busy crying out to God. Whether well are trying to get him to give us just what we want or disagreeing about how to handle an area of our lives, God can’t get a word in sometimes. We need to just be quiet. Time to hear just what he has for us. He is the supreme and mighty God of all the earth. He knows all. What he has to say is very very important. It may be as simple as, “trust me”. We usually want more info but we don’t always get it. Those two words remind us just who he is. He has told me in his word that what he wants, he gets. Nothing is impossible for him. He also promises to work everything for my best. I know he’s got my back. I know he is very trustful. Sometimes he will give me a verse and my mind will dwell on it. So many positive thoughts will run through my mind and get me excited. Something to write about. He might remind me of things I need to do that day. Something I can do to help in a certain situation. Something I may have been worrying about. Last week he said get your earphones out. I put them in when I got up and turned some music I had been listening to before on. While I was playing games I began listening to the words and ended up praising and worshiping for a while as the words sunk in. It was a great time really uplifting to me. Awesome morning. Thanks God. He can encourage so much in such simple ways but we have to give him time in our busy schedules to just “be still”. It’s hard to just sit there. My mind has a tendency to wander but he still speaks when I’m not speaking. These times are becoming more and more special every day. At times I can’t sleep in the night and I will get my praying over so I can just rest in his presence. The more you do it the more enjoyable it becomes. Do you remember how much it meant to just hit the snooze button when you just wanted a few more minutes before work? Well that few more minutes with him in the morning is a hundredfold better. Will you take time today to let him talk to you? After several years of study in the Lord and His ways I have learned so much. 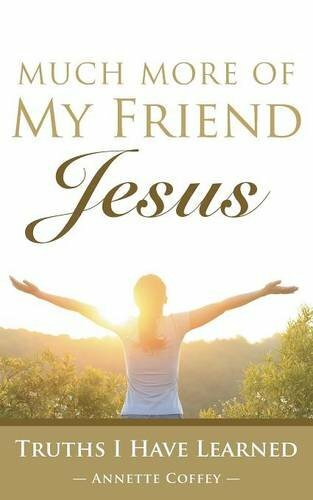 I have read the Bible, books on different books of the Bible, devotional’s, every Christian book I can get my hands on, and going to church. I have so much good stuff I to share. 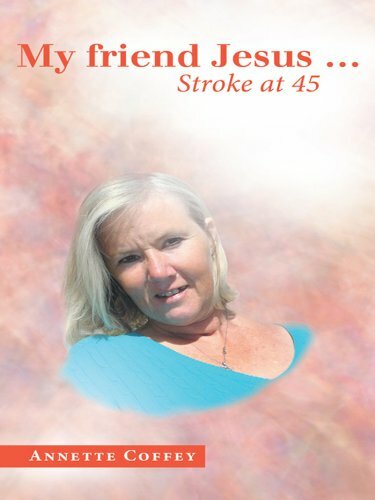 I have written a book (sort of a diary) about my stroke and everything that happened to me. It was very well received in my care home because it gave a look into stroke victims. What they have gone through from their perspective, the problems they faced, and things that could make their care better. It also got into the hands of stroke patients and gave them hope, they weren’t alone. Now I continue to share and encourage here at Then She Spoke. 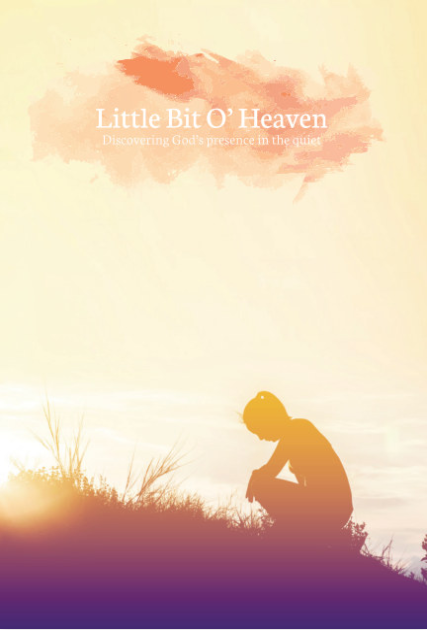 Click to follow this blog and receive notifications of new encouraging posts by Annette via email.